HOUSTON (KTRK) -- Just days before some of this year's pitchers and catchers report for Astros Spring Training, Eyewitness News Anchor Dave Ward sat down with a former Astros great to talk about his new role with his old team. He's one of the most loved Astros of all time. Slugger Jeff Bagwell made Houston his home in 1990 and hasn't left since. In 1989, the Boston Red Sox drafted Bagwell only to trade him months later to the Astros for relief pitcher Larry Andersen. "I got lucky. I got traded into the right spot 'cause I would've had to wait some time with the Red Sox because there were three guys that were in front of me," Bagwell said. "One happened to be a Hall of Famer named Wade Boggs." In 2007, good friend Craig Biggio pulled Bagwell out of the Astros dugout to celebrate his 3,000th career hits. "It was a very interesting thing because I was out of town. So I came back from out of town and I told him in the clubhouse, I said, 'You got three days to do this. Otherwise, I'm out of here,' and he said, 'That's a lot of pressure,' because he wasn't getting a bunch of hits at the time," Bagwell recalled. "And the dude goes out and gets five hits that night, and I was sitting there and I was so moved, I said I gotta go see him. I didn't want him to pull me out into the field. I didn't want no part of that. I just wanted to give him a hug. "We've been together for, like you said, 15 years and just to be around him when something that special happens, it was really cool," Bagwell said. Last year, Bagwell was quoted saying, "Playing baseball does not define who I am." So we asked, what does define him? "I'm a family man. I love my wife. I love our kids. I have all the challenges that every other person in the entire world has, and I know that I'm a good person," Bagwell said. "That's what defines me." 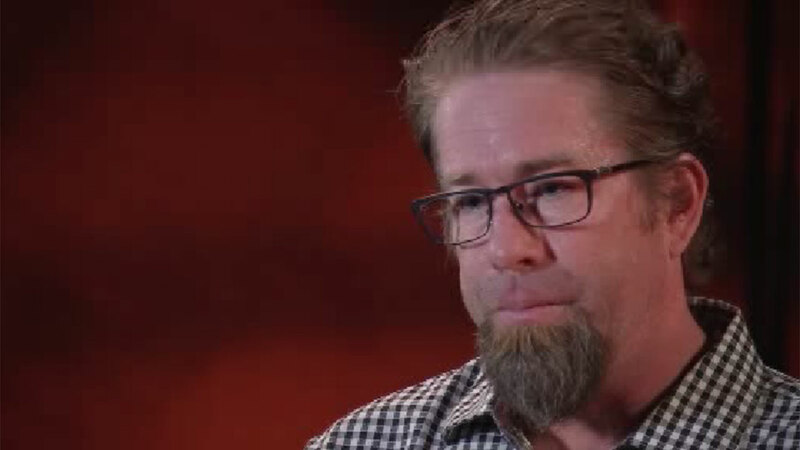 Bagwell is now back with the Astros, but he says he's still not sure in what capacity he will be needed. "I'm going to go to Spring Training and I'm going to see what I see. I'm not going down there just to wear Number 5 on my back," Bagwell said. "I mean I got stuff to give."